In most areas of the country, heating expenses consume a large part of a family's annual energy budget. The prices we pay for our main heating energy sources --oil heating, gas heating and electric heating-- are continuing to rise. That's why it's more and more important to have a heating system that performs efficiently, so it doesn't waste the fuel we are paying for. Learn more about your heating options with Mitsubishi Ductless Splits here! Gas heating systems are a convenient & affordable option for the home. GeoFurnace Heating & Cooling, LLC can service your gas furnace or boiler to ensure maximum efficiency. We will also provide a free quote for replacing an old, inefficient oil furnace or boiler with a state-of-the-art system to save money and improve comfort. Therefore, a 15-year-old furnace that is 65% efficient is putting 35% of the heat you paid for up the chimney. A 96% efficient furnace only "wastes" 4%! A big difference! And since the cost of the fuel you put through a furnace, boiler or water heater during its lifetime is much greater than the cost of the unit itself, it's worth it to install the very highest efficiency equipment available! Let GeoFurnace Heating & Cooling, LLC accomplish this in your home! Lower your electrical consumption with a heat pump system installed. Do you wish your house had central air conditioning? Are you building an addition or converting an attic or porch into living space? Do you live in an older house with beautiful period details but an outdated HVAC system? If you answered “yes” to any of these questions, mini-split heat pump technology could be the perfect solution to your HVAC problems. 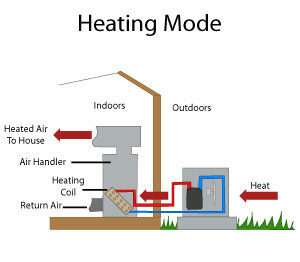 A mini-split heat pump provides forced-air heating and cooling, but without the use of ductwork. For this reason, these units are also referred to as ductless heat pumps or ductless mini-splits. Here at GeoFurnace Heating & Cooling, LLC, we install innovative ductless heat pump systems from leading manufacturers. Installation flexibility. Compact air handler units can be mounted on wall or ceiling. Heating & cooling. 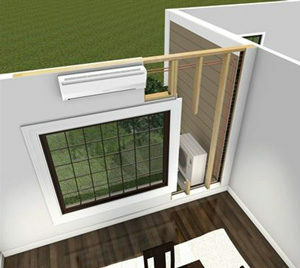 Most mini-split units are designed to provide ductless air conditioning and heating. Extremely efficient. Industry-leading ENERGY STAR®models are rated above 20 SEER; some models are as high as 26 SEER. Easy & precise control. Battery-operated handsets enable you to adjust temperature, fan speed and other settings by remote control. Speedy, hassle-free installation. A mini-split system can be completely installed in a day, with minimum disruption to interior spaces. A conventional forced-air system relies on a bulky ductwork system to distribute heated or cooled air throughout the living space. It can be difficult and expensive to retrofit large ductwork in an existing house. That’s why ductless heat pumps are a cost-effective solution for retrofit applications. Ductless mini-split heat pumps also eliminate problems caused by ducts that leak or lack sufficient insulation. If you want to enjoy long-term savings on heating and air conditioning, make sure to consider installing a mini-split system. Unlike older heat pumps, the latest mini-split systems can provide efficient heat even in subfreezing temperatures. Today’s ENERGY STAR® mini-splits are more than twice as efficient as older heat pumps. We provide repair and installation services for a wide range of heating systems to fit your needs. GeoFurnace Heating & Cooling, LLC can service your radiant heating system to ensure maximum efficiency. We will also provide a free quote for replacing an old, inefficient radiant heating system with a state-of-the-art system that will save money and improve comfort. 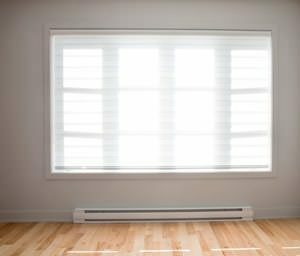 Radiant in-floor systems can be installed in new construction and often can be retro-fitted in an existing home as well. To get optimum comfort out of your radiant system engineering is crucial. GeoFurnace Heating & Cooling, LLC has the right systems and experienced engineering staff lined up for you. 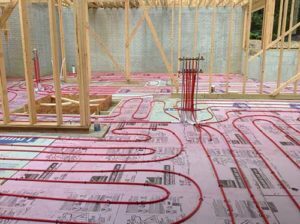 Radiant in-floor systems are highly compatible with a high efficiency boiler or geothermal system because of their low outgoing temperatures.